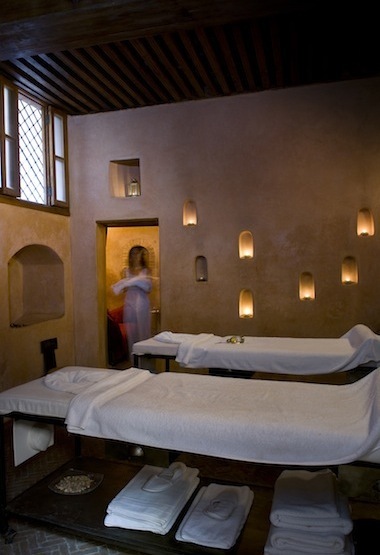 We offer you a private spa experience, with authentic hammam and relaxing massages. 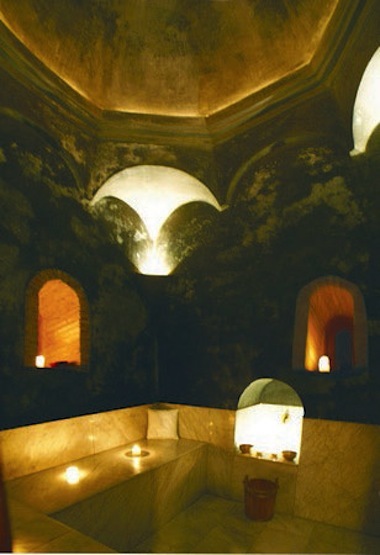 The hammam is a long-standing Moroccan tradition. 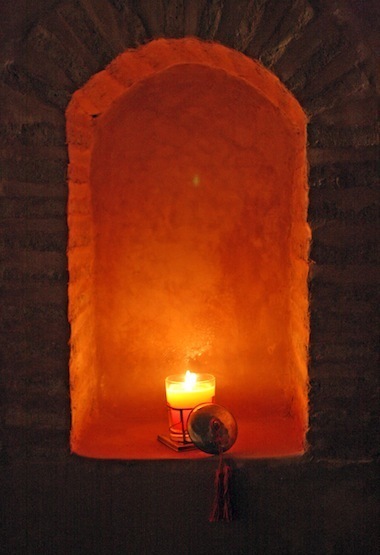 Our hammam is an authentic Moroccan stream room decorated with Carrara marble. You will be bathed by professional therapists and receive an aromatic body scrub and ghassoul facial mask. Following a rest, continue to our massage area where you will receive a traditional relaxing massage with essential oils in a soothing ambiance with candles, quiet music and pleasing aromas. Read more about the Spa Laaroussa experience. The spa is open every day from 11am to 9pm. Spa Laaroussa treats up to 2 persons at the same time with appointments every hour. We welcome men and women during the same session. Let us know which time is convenient for you and which services you wish to reserve. We offer free pick up service in the medina and as well as gift certificates. A light snack menu is available in the Riad Laaroussa. For the hammam, we provide disposable underwear, though you are welcome to wear your own or bring a swimsuit bottom.